Sometimes, one just needs to make a little treat to get them through the day. My hubby loves to have a granola bar for an afternoon snack, but of course, the ones from the grocery store are fairly expensive and have a few too many ingredients that I can’t pronounce. I’ve made plenty of homemade granola bars of course, our favorite being these Crunchy Granola Bars. But even homemade Granola Bars take a little extra time and effort to bake. You have to make them, bake them, cool them, cut them, etc. And sometimes after all that, they simply fall apart! 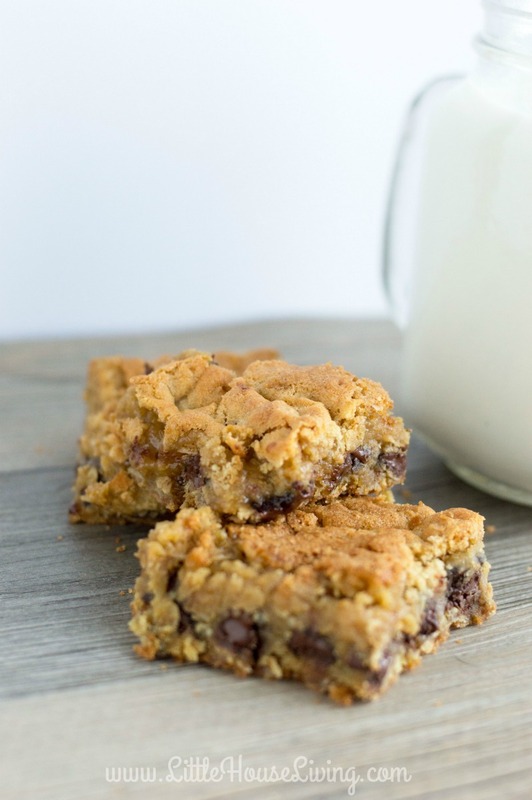 This Oatmeal Bar Cookie recipe has the essence of a delicious granola bar, but is baked in a soft, chewy cookie bar form instead. You are going to love them! In a large bowl, combine the sugars and butter and beat until creamy. Add in eggs and vanilla. Mix in flour, baking powder, baking soda, salt, and remaining ingredients, and combine well. Pour half of the mixture into a greased 9×13 baking pan. Sprinkle the chocolate chips over the top. Pat the remaining batter on top of the chocolate chips. 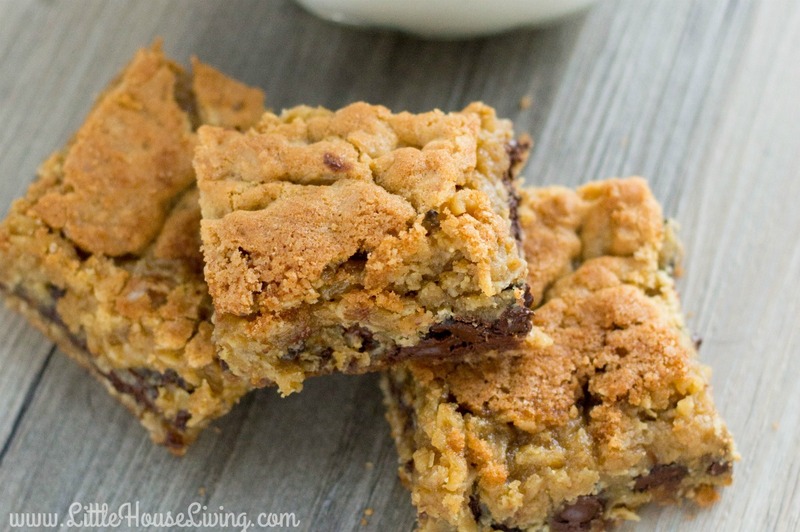 Bake at 350 degrees for 30 minutes or until oatmeal cookie bars are browned. Cool, cut, and serve. 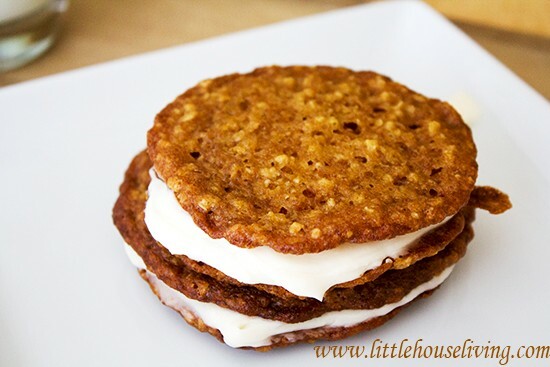 Store the Oatmeal Bar Cookie pieces in the fridge in an airtight container, or freeze them if you want to enjoy them at a later date. This recipe freezes very well so it’s a great one to make ahead of time and pull out to serve when you need it! 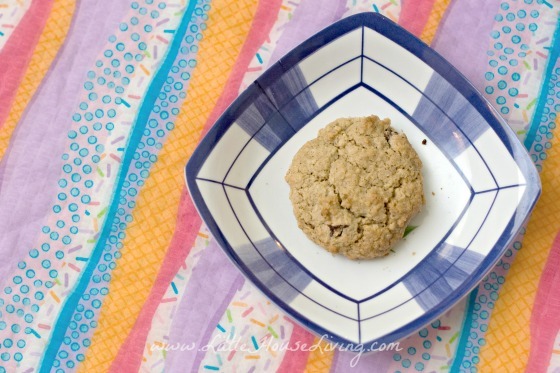 Will you give this Oatmeal Bar Cookie recipe a try? Do you like making make-ahead/freezer desserts? Wow, these look amazing. I love how the chips are nestled in the middle instead of mixed in the batter. I am definitely making these this week. Curious why they would need to be stored in the fridge. I would have stored them on the counter airtight? I have this thing about storing foods made with butter in the fridge…it’s just me being over-cautious I’m sure 🙂 Store as you feel comfortable! Merissa, I also noticed that the instructions do not list to add the butter or oatmeal, although it is obvious to me…in case you want to correct? Also, I assume you used the old-fashioned oats (not quick)? Thanks again. We were having some issues with the site earlier. 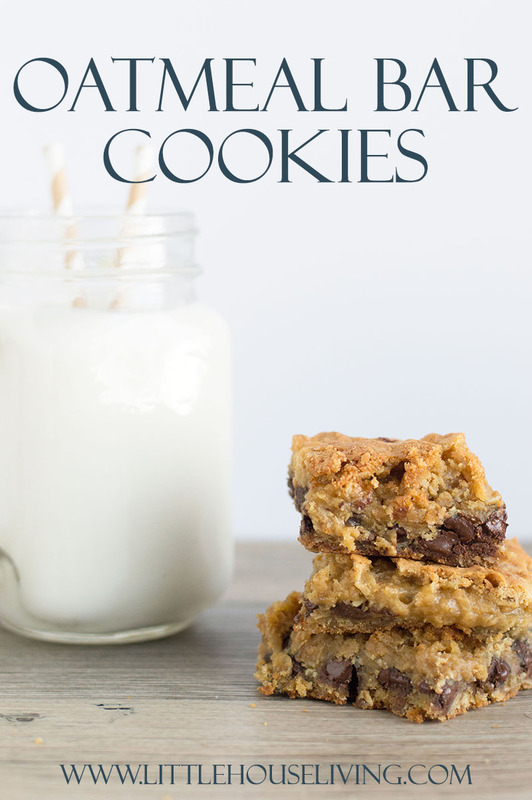 You may just want to clear your cookies and try again 🙂 And yes, old fashioned oats in this recipe. Thank you. I checked and it’s better now. I was able to figure it out but figured you would want to know. They will be eaten tonight. I’m thinking of scoop of ice cream on top. Merissa, I can imagine your mixed feelings about your son’s fifth birthday. It does go by so quickly. I look forward to trying this recipe. And your photographs are wonderful. 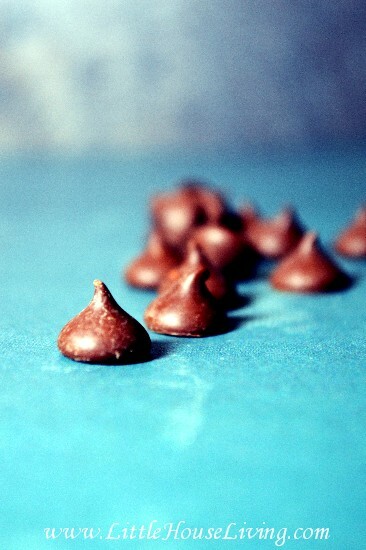 I plan to buy oats tomorrow and make these for my students vor Valentine’s Day. Thanks! Definatly will make these SOON for my grandson ,husband and Dad ! Thanks ! These look delicious !!! I need to make dozen of make and freeze cookies for an upcoming event. We might have to try these! No need to freeze them they won’t last long! Hubby says he doesn’t like sweets so these little lovelies will be mine all mine. These look really gooey! Can’t wait to try! 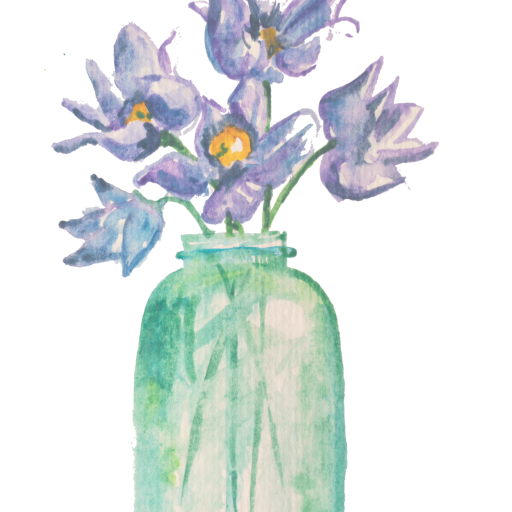 Thank you for sharing at the Friday Favorites linky party! These look delicious. Going to pin them for my cheat day! OMG, this looks SO good! Saving it so I might be able to try it out later! We will love these cookies! Hope you are having a great day and thanks so much for sharing your post with us at Full Plate Thursday. These look so scrumptious & I can’t wait to try them! Thanks for joining the Creative K Kids’ Tasty Tuesday last week, if you haven’t already don’t forget to link up this week! Yummy looking bar cookies. Thanks for sharing at the Inspiration Spotlight party. Pinned & shared. Hey, I have all these ingredients in my pantry 🙂 I may have to make these this weekend as we’re looking for something to bake. Thanks for sharing this on Merry Monday! When you say rolled oats do you mean old fashioned or quick?